Black Friday is coming, but between that and Cyber Monday is Small Business Saturday, and small businesses throughout the U.S. stand to gain plenty if they prepare. Facebook, which has gone out of its way to offer small businesses more and more tools and features over the past year or so (despite the decline of organic reach for most pages), is offering businesses some tips on how to do so. Do you think Facebook is becoming a better tool for small businesses? Discuss. In a nutshell, the tips boil down to using the right call-to-action button, monitoring local insights, trying out local awareness ads, turning on page messaging, and setting up a saved reply. The call-to-action options include things like Call Now, Send Message, and Contact Us. Obviously, you’ll want to pick one that caters to your specific goal, but that’s likely something you’re already doing. Local Awareness Ads were first introduced over a year ago. These let businesses find new customers by showing ads to groups of people who are near the business’s neighborhood. The company announced improvements last week enabling businesses with multiple locations to create local ads for each store and giving them more insight into the groups of people near their stores. Ads feature dynamic copy that can change based on location. “New updates to local awareness ads allow businesses using Locations for Pages—a tool for connecting and managing business Pages with multiple store locations—to use information from each of their Pages to add dynamic ad copy, links and call-to-action buttons to their ads, so each ad is localized for its corresponding store,” Facebook recently said. With new insights, businesses can discover their neighborhood’s busiest days of the week and times of day sot hey know when people are most likely to visit the store. This may not apply so much to Small Business Saturday when small businesses are top of mind, but it’s still helpful to know on a regular basis. Businesses can see aggregate demographics of people nearby, including age, gender, tourist, and local residents. A couple months ago, Facebook recommended using Local Awareness Ads to: encourage people to go to your store; increase local brand awareness; help specific stores meet their sales targets; tell people about new store locations and grand openings; get the right people to your event; tell people in the area about things happening now; build buzz by rallying local communities; and spread the word about local promotions. More on these use cases here. For Small Business Saturday, Facebook suggests utilizing the “Get Directions” call-to-action on Local Awareness Ads. Facebook announced Page Messaging back in the summer giving customers more ways to send private messages to businesses and ways for Page admins to manage and respond to them. People can send messages to a Page from a Local Awareness Ad. They’ll see a buton that says “Send Message” from which they can initiate a private conversation in a Messenger window that appears. For Pages, the incoming messages include an attachment that shows the ad that prompted the message. Once the user initiates the conversation, the business can respond as they like. Businesses can also now respond privately to public comments on their Pages. When the business responds privately, the comment shows a note that the business responded privately so it doesn’t look like you’re just ignoring it. Users do have an option to block private messages from businesses. Facebook recently released a guide to Page Messaging, which you might want to take a look at. It basically has five best practices, but of course elaborates on each of them: Turn on messaging when you’re ready; write the way you’d speak to someone in person; be helpful and to the point; limit saved replies to frequently asked questions; and respond to sensitive questions. Finally, Facebook recommends setting up a saved reply for Small Business Saturday. Saved Replies also emerged this past summer as a way for Page admins to utilize canned responses to help them more easily address messages. We’ve seen study after study show how bad businesses are at customer service on social media, and this feature should go a long way in helping with that. Saved replies at least tell someone who has sent a message that the business is acknowledging them in some way. Facebook suggests using them for frequently asked questions. For example, if you’re getting a lot of questions about your Small Business Saturday events, you can set one up that thanks them for their support and shares relevant event info, such as store hours, in-store offers, etc. 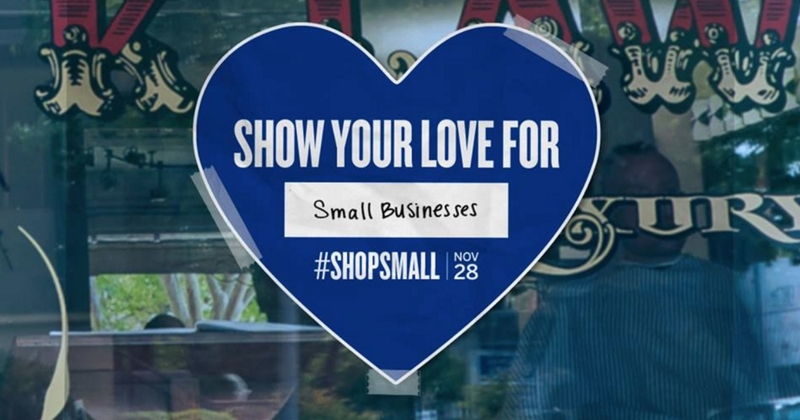 Are you planning a Small Business Saturday event? Do you expect Facebook to play a role in helping get people interested? Let us know in the comments.